Sharing files between computers can be a pain. It’s easy to send small files via email or cloud storage, but what if you want to share something with a computer right next to you? Emailing is slow, and copying the file to a flash drive feels like something out of the stone age. With HomeGroup gone How to Replace the Windows HomeGroup How to Replace the Windows HomeGroup This year, Microsoft will retire the Windows HomeGroup feature. Let's take a look at what a HomeGroup was good for, and how you can replace yours. Read More , you need a better solution. In the April 2018 Update, Windows 10 added a feature called Nearby Share. It’s a lot like Apple’s AirDrop in that it lets you quickly send files to nearby devices. Here’s how to use it. First, you’ll need to enable Nearby sharing on both machines (this only works for Windows 10 computers). To do so, head to Settings > System > Shared experiences. Make sure you’ve enabled Nearby sharing. You can also decide whether to receive content from Everyone nearby or My devices only. The latter option restricts transfers to devices using your Microsoft account. Since you need to approve every share anyway, leave this set to Everyone. Also on this menu, you can set a default folder for saving transferred files. Before proceeding, you may want to change your PC’s name How to Change Your PC's Name in Windows 10 How to Change Your PC's Name in Windows 10 Did you know that your Windows computer has a name? If you'd like to change it from the generic default, here's how in Windows 10. Read More so it’s easy to identify. Most computers have generic names by default, making it hard to tell them apart. Once you’ve enabled it, you can use Nearby Sharing in any app that supports it. The feature uses both Bluetooth and Wi-Fi. Simply click the Share icon in any app, like Edge or File Explorer, to bring up the sharing dialog. Along with the usual list of apps for sharing, you’ll see a list of nearby devices. Once you click one, the other computer will see a notification that they must accept to receive it. Nearby Sharing is nice, but it’s not your only option. Dropbox and other cloud storage providers let you quickly generate links for files you’ve stored with them. Plus, Nearby Sharing isn’t super fast. But for quickly sharing URLs or small files, it gets the job done. For more on this, check out the best ways to share files with anyone online The 15 Best Ways to Share Files With Anyone Over the Web The 15 Best Ways to Share Files With Anyone Over the Web There are many ways to share files between people and devices. 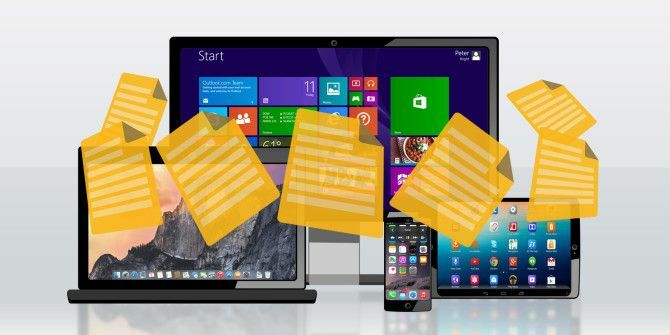 With these 15 tools, you can share files quickly without app downloads, account registrations, or any cloud storage setups. Read More . Explore more about: File Sharing, Windows Tips.